Mr Johnson came to us in March 2015 for an alternative to his extension plans. This was the last project of a 6 month complete house renovation. He was quoted in the region of £50,000 for a single room extension which was roughly 6 meters by 4 meters, with a tiled roof and built to building regulations. He wasn’t 100% sure on the extension plans, after his architect mentioned in the plans that the roof of the extension wouldn’t be pitched like the top of the house, the tiles on his existing house were no longer available and there wasn’t an exact brick match either.  Mr Johnson is someone that likes things to match and with all of the above mentioned, he decided to approach us about replacing his very tired-looking conservatory in Milton Keynes. After meeting with Mr Johnson and listening to his existing plans, we decided to explore a few alternatives. Naturally, we asked what he wanted to gain from the room and he immediately said he wanted Bi-folding doors leading out to the garden, so the room could be used for entertaining guests in the summer and be used as a dining room/living room in the winter. Mr Johnson had apprehensions about a conservatory as he thought it would be too hot in the summer and too cold in the winter. Based on what he said and wanted from the room, we suggested an ‘Orangery’ as an alternative. The benefits of the orangery style we had in mind, is that the glass is reflective – meaning the sun light would bounce off in the summer. Also, the extra brick work would reduce the glass and we could insulate the walls to building regulations to keep it warm in the winter too. We also suggested adding extra insulation in the floor, along with under floor heating. We also showed him a particular ceiling fan imported from Australia, which appears as a normal light for the winter time, however, by remote control you can open it up into a ceiling fan for the summer, giving the room a lighter feeling. Ultimately, the idea of the orangery was to have a room that served Mr Johnson’s requirements, but on the outside looked like a feature rather than an attempt to match the house, which was impossible with so many things like the pitch of the roof, tiling and brick match not being able to replicated. We genuinely felt we could better his extension plans and save him a considerable amount of money compared to the £50,000 he was prepared to spend on the extension. We provided several design types using the latest technology available and Mr Johnson liked the idea of having more brickwork, as he could also put things like TV’s up and add furniture to sit against the walls without it looking odd like it might against a glass conservatory. Once he had decided what he liked, we could then work out how many bricks were required and costings to give him an upfront quote. Mr Johnson was pleased with the quote and as you can see below we started to carry out the work. We allowed 1 week to take down the existing conservatory, dig the footings and level out the rest of the garden. Unfortunately, the garden was very uneven due to a swimming pool being filled prior to us. This meant that we had to take a lot of the mud out of the garden, so that it was level with the blue bricks at the bottom of the house. It is imperative and vital that this work is carried out, to prevent drainage problems later. We identified various brick options, which wasn’t easy as the house is over 20 years old and the original brick had been discontinued. We believe we found a very close brick match, which Mr Johnson was over the moon with, as this was one of his major concerns. We continued with the footings and putting in matching blue bricks to damp level. With the brickwork successfully complete in week 2, our fitting team was able to come in and put the roof on. Obviously, the biggest thing we look out for when installing the roof is sealing the roof so there are no leaks. Lets just say, we didn’t compromise on the amount of sealant and glue used to ensure that this roof was leak proof. The electrician also came in towards the end of the week to do the first fixings, which means putting the wires and power points in place so that the walls can be plaster boarded, skimmed and painted later. Week 4 included fitting a rose wood double glazed window and the lovely aluminium bi-folding doors. The floor was screeded and our electrician fitted down lights across the bi-folding door area and window area. All power points were also fitted and the walls were plastered and skimmed ready to be painted. By the end of week 4 the fitting team are onto another job and it’s just the finishings touches to come in week 5. Our plumber had previously come in week 2 to fit the pipes for the heating, ready for the electrician to lay the underfloor heating and the tiler to tile over it. Mr Johnson wanted tall radiators to take up the wall areas next to the doors, so the remaining walls could be used wisely for furniture. We installed two very modern radiators to match the room. We believe that with the underfloor heating and the radiators, this will make a great dining room at christmas when all the family are over and everyone will remain cosy and warm. Here, you can see the down lighting above the bi-folding doors and the amazing ceiling fan that retracts back into a light when the fan is not in use. We used timeless white paint to match the rest of the house and the tiles are a very light beige colour, keeping the room very light, clean and contemporary to match the rest of Mr Johnson’s home. If you like what you see and would like one of our team to assess your needs and requirements then please feel free to get in touch. We are a family run business that doesn’t believe hard selling. We let our work and testimonials do the talking.